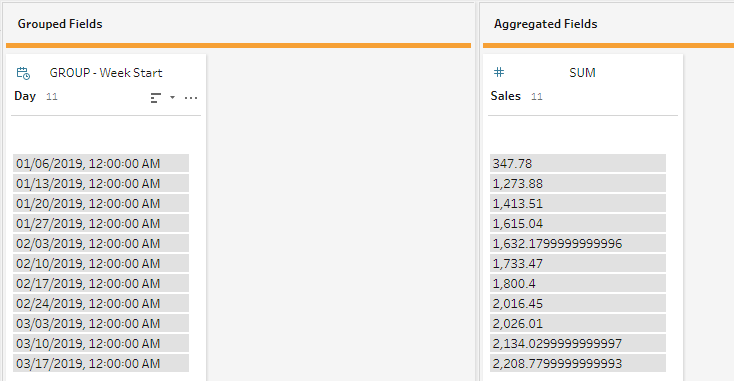 As a follow-up to my prior blog post, I wanted to explore an additional use case for aggregation in Tableau: joining together data that might be at different date levels. It’s the same premise—you have two data sources at two levels of detail (e.g. row-level transactions vs. regional goals; employee-level vs. team-level), but the steps to aggregate that data are slightly different. Since one data source is at the weekly level, and one is at the daily level, adding an aggregation will be necessary to return data at the correct level. A rule of thumb for aggregation: your data sources must be aggregated so that they match the data source with the highest level of aggregation. In our example, we have our data split out by week and by day. 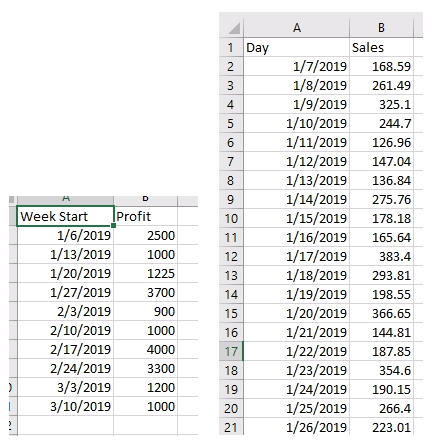 We couldn’t reliably break our weekly data down to the daily level since we don’t know what days each profit occurred on, so we should aggregate our daily data to the weekly level. Hopefully this clears up any questions you have about how to tackle situations where you might have data at two different date levels. Cleaning it up in Prep before you bring it into Tableau Desktop will make your life infinitely easier by minimizing the need for calculations. Thanks to Kent Sloan for assistance on this blog, and thanks for reading! The post Tableau Class Notes: To Aggregate or Not to Aggregate? Part 2 appeared first on InterWorks.